The easy way to locate your nearest DHL Global Forwarding office and discover related service offerings, opening hours and contact details. Whether you are a small business sending a shipment by air freight, or an experienced logistics professional looking to improve your air and ocean freight operations, we will deliver a personalized service across all sectors. 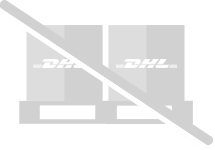 If you wish to learn more about the entire portfolio of DHL products and services please visit our homepage www.dhl.com. Thank you for visiting our Station Finder!